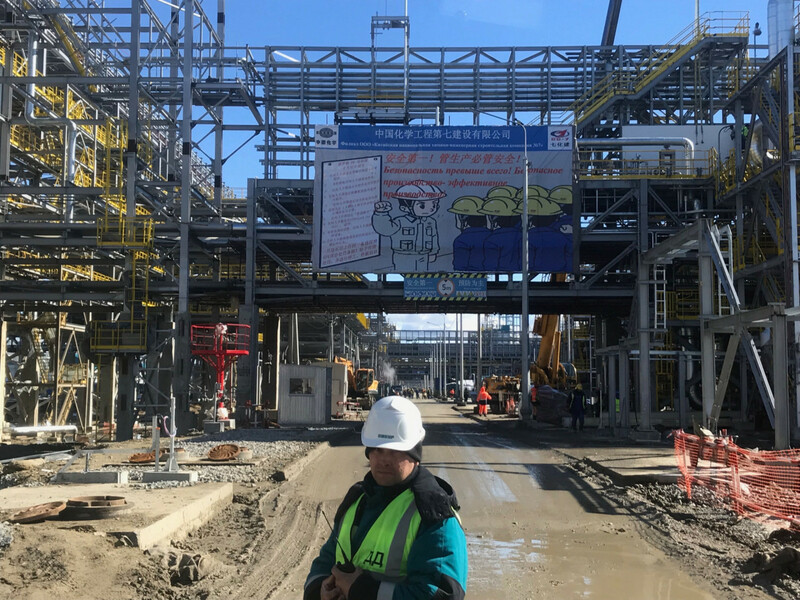 TOBOLSK — Workers at Russian petrochemicals company Sibur’s soon-to-be-completed ZapSibNefteKhim plant in Tobolsk will arrive for shifts at a building decorated with an enormous portrait of the city’s most famous son — the inventor of the periodic table of elements Dmitri Mendeleyev. The complex also carries with it significance for Russia’s economy. On a recent visit to the site, men in safety helmets and orange vests hurried about the 460 hectare complex as they rushed to complete the finishing touches by the end of May. ZapSibNefteKhim will drastically change that figure. According to the plant’s general director Igor Klimov, 40 percent of the 2 million tons of polymers the plant will produce — in the form of granules that will then be turned into products ranging from shopping bags to diapers to automobile parts — will be sold domestically. Another 60 percent, worth a projected 140 billion rubles ($2.1 billion), will be sent abroad, nearly doubling Russia’s total exports. 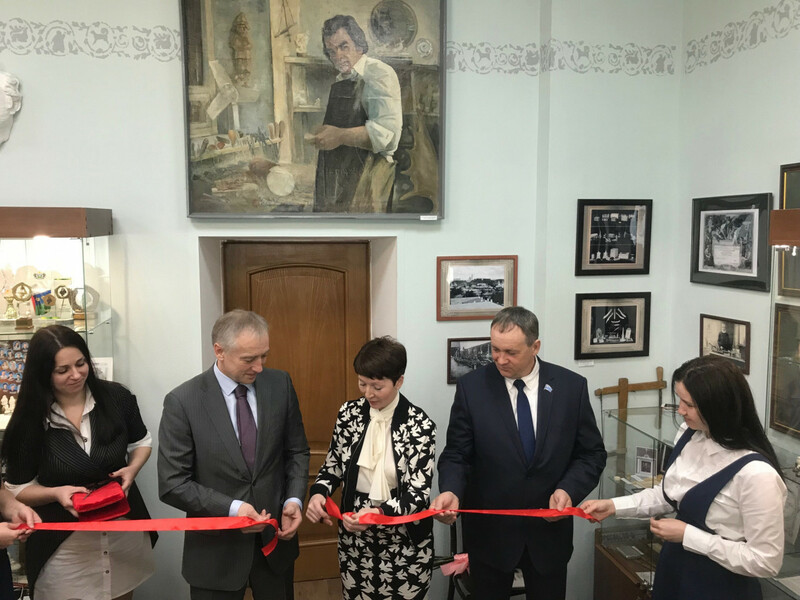 The stock that will feed the polymer production will be made up of both APGs and natural gas liquids that will travel from plants in Russia’s Far North to Tobolsk. Most of this will come from Novatek, Russia’s largest gas producer, whose majority shareholder Leonid Mikhelson also owns 48.5 percent of Sibur. Two shareholders in Sibur also reportedly have close ties to Russian President Vladimir Putin — Mikhelson’s business partner Gennady Timchenko, who owns 17 percent of the company, and Kirill Shamalov, who owns 3.9 percent. The United States has slapped sanctions on both men for their connections with Ukraine, Syria and suspected cyber activities. It described Timchenko as a member of Putin’s inner circle and Shamalov, who was reportedly formerly married to Putin’s daughter, as a family associate. Sibur itself is not under sanctions. That the authorities’ and Sibur’s goals are aligned, however, is just a coincidence, say analysts and company representatives. While Russia’s big oil companies — including Lukoil, Gazprom and Rosneft — are likewise turning toward petrochemicals, Sibur is leading the way. Sibur’s CEO Dmitri Konov has said that once ZapSibNefteKhim is open for business the company may go ahead with an initial public offering. And Sibur is already planning to spend another $6 billion-$7 billion on an additional polymers plant in Russia’s Far East. Mendeleyev isn’t the only famous Russian with a connection to Tobolsk. The writer Fyodor Dostoevsky was imprisoned in the city and is said to have come up with the inspiration for his masterpiece “Crime and Punishment” during that period. And the last members of the Romanov dynasty spent the final year of their lives there before they were executed by the Bolsheviks a century ago. Despite its history, Tobolsk was left behind at the turn of the 20th century when the Trans-Siberian railway connecting Moscow with the Far East bypassed the city to the south. Then, in the 1970s, it was first injected with new life with the construction of the plant that is now the site for ZapSibNefteKhim. The city’s population shot up from 25,000 to just under 100,000 people over the next two decades, before stagnating once again. For Sibur, Tobolsk is a hub with access to feedstock and transportation means to both Europe and China. Mayor Mazor believes the city is on the verge of a renaissance. “It now has serious prospects for growth and renown and attracting new residents,” he said. 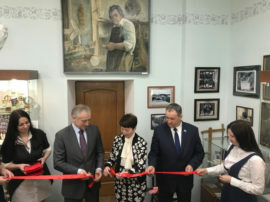 Natalia Zubarevich, a Moscow-based expert on the socio-economic development of Russia’s regions, is not quite as bullish as Mazur, but she said the city has benefited from Sibur. She pointed to the high salaries paid to Sibur’s specialists as a boost for small businesses hoping to attract that money. And she noted the international influx the city has seen since construction began in 2015. At its peak, the site’s foreman said it included representatives of 20 countries. Not all of Tobolsk’s residents are happy with the changes. Mazur acknowledged the discontent, but said everyone has the chance to work for Sibur if they get the right education. He noted that most of the 2017 chemistry graduates from the local university were hired by the company. Employees have come from as far afield as Asia and Europe, according to a Sibur spokesperson. And some business owners have spotted an opportunity to serve their needs. 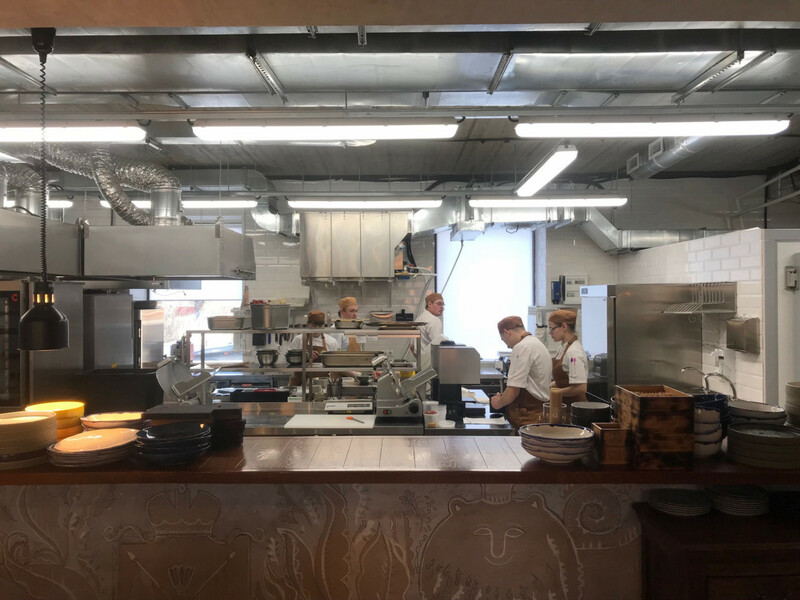 Last year, a farm-to-table fine-dining restaurant called Mark i Lev — or Mark and Lev — opened downtown, with Sibur helping the chef find local farms from which to buy produce. The restaurant sits between a typical Russian small-town beauty parlor and a medical clinic, and seems out of place with its English-speaking clientele. But manager Tatiana Kobylinskaya says Mark i Lev is increasingly attracting local customers. She believes there is a wider market for such services and said the owner has plans to open a farmers’ market. Not all such efforts have succeeded. Vadim Kalina, a journalist with the local Tobolsk.ru news outlet, said an upscale Turkish restaurant aimed at employees from Turkey’s Renaissance Construction, one of ZapSibNefteKhim’s contractors, lasted only a year before shutting down. And not all of the Tobolsk’s residents have been happy to see the increase in diversity. Despite such sentiment, Kalina, whose reporting focuses on crime, said that he had not found an increase in hate crimes over the past few years. More worrying, he said, was an increase in what he described as “myths” around ZapSibNefteKhim’s ecological impact that have been circulating on local social media groups and through word of mouth. Kalina said that Sibur had not done enough to quell residents’ worries. Many residents said they believed the new plant was bad for the environment. Some said the city had seen an increase in cancer diagnoses; some that birds had started to die; others that potatoes were shrivelling. Irina Trofimova, 59, brushed off the concerns. 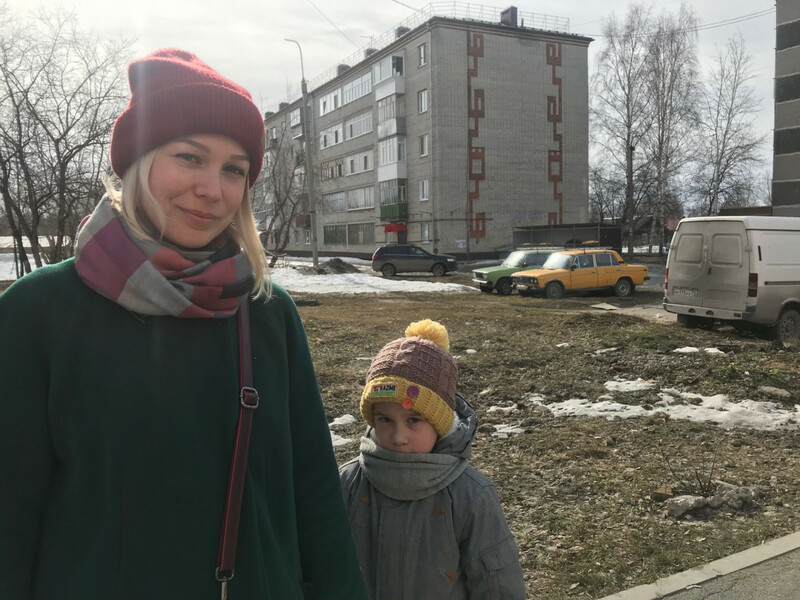 Since moving to Tobolsk from Tyumen 25 years ago, she has been deeply involved in city life, working as a school teacher before running a local magazine. “What they’re used to has changed and they don’t like it even though it’s positive for them,” Trofimova said.